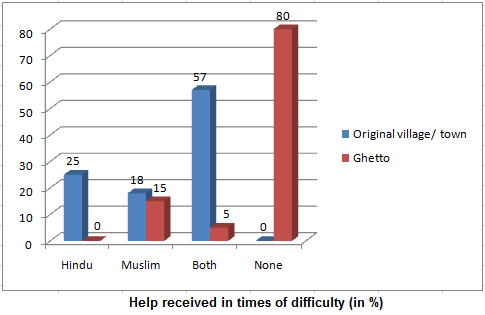 A new research work by a Gujarat Vidyapeeth scholar, Dr Damini Shah, has said that, thanks to ghettoisation of Muslims following the 2002 Gujarat riots, there has been shocking rise in religious obscurantism in the Muslim colonies, most of which were set up by Islamic non-government organizations in order to provide security to the riot victims. Perhaps the first book of its kind in Gujarati language, “Muslim Ghettoisation: Ek Karun Dastan” (Muslim Ghettoisation: A Tragedy), released at a formal function in Ahmedabad, has particularly noted that all the dozen resettlement colonies surveyed have “imposing mosques and madrasas attached to them, with all the necessary facilities”, in sharp contrast to the poor housing facilities in which the resettled Muslims live in sub-human conditions. As a result of this, Dr Shah feels, the situation that has developed is such that, “while swearing by the name of religious freedom, these Muslims are unable to dissociate themselves from their communal framework.” Dr Shah’s book is based on a PhD thesis which she completed under the guidance of Dr Anandiben Patel, head, social work department of the Gujarat Vidyapeeth. 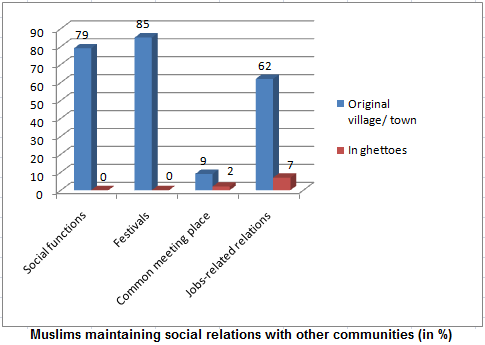 Based on spot interviews in 12 Muslim resettlement colonies of Ahmedabad, Sabarkantha and Anand districts set up after the Gujarat riots, Dr Shah says that ghettoisation has led to “sharp rise in religious polarization” with 92 per cent Muslims, who used to meet Hindus earlier, have no contact with them any more”. “Before the riots, the Muslims used to take part in religious festivals of the Hindu neighbours. However, after they were forced to leave their own houses and began living in the new colonies, inter-community interaction, which was there for generations, has disappeared”, Dr Shah told the audience at the book launching ceremony. 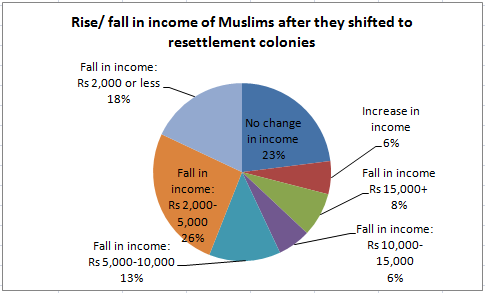 Blaming the government for failing to reach up to the resettlement colonies, Dr Shah says, a major reason why the riot victims are refusing to return to their houses in villages or towns is continued sense of insecurity.